I’ve been teaching feminine embodiment, creativity and nature connection for a number of years now. Alongside this, I’ve studied and learned a lot about nutrition, health and well-being so as to know my own body and what supports my energy levels so I can do the work I want to do, feel alive and be there for friends and family. I was lucky to be brought up in a family that were very active outdoors and into good, fresh, home-cooked food. 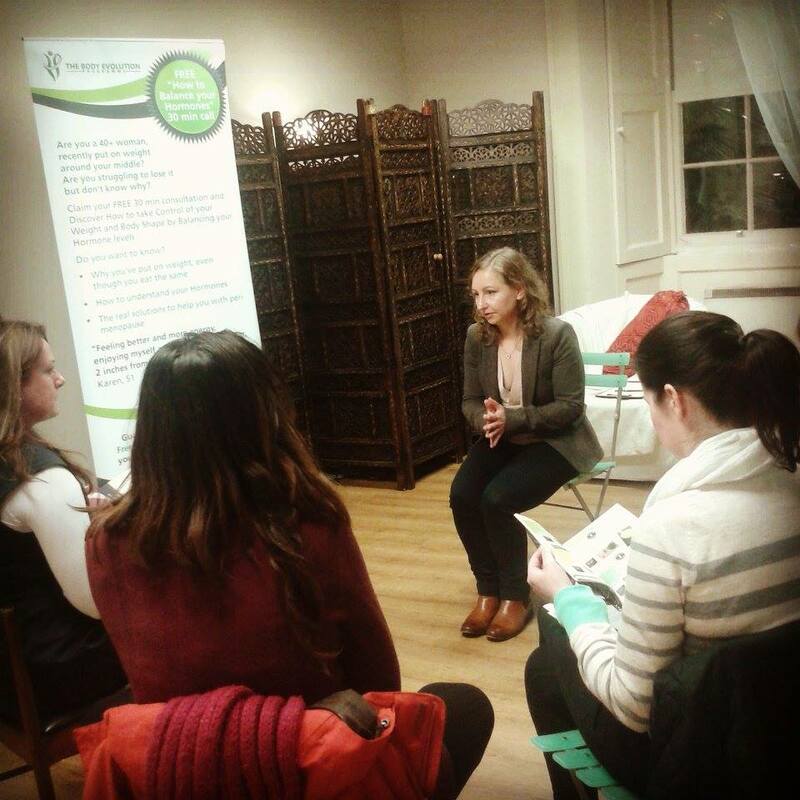 Those were healthy foundations and gave me the embodied experience of what feeling physically good actually felt like. As we journey through life, our needs change. When women move into their mid-thirties, even more attention needs to be given to the way we care for ourselves through nutrition, mind and spiritual practices because this time is commonly when our hormones begin to shift and change, affecting our physical bodies, emotions, energy levels and mental state. We are physical beings comprised of mind, body, energy and soul. So we need to have a holistic approach to the way we care for and understand ourselves. So, I was thrilled to connect with Angie Garton, an expert in women’s health and hormones. We felt a mutual appreciation about each others work and saw our streams of knowledge effortlessly meet and flow together. 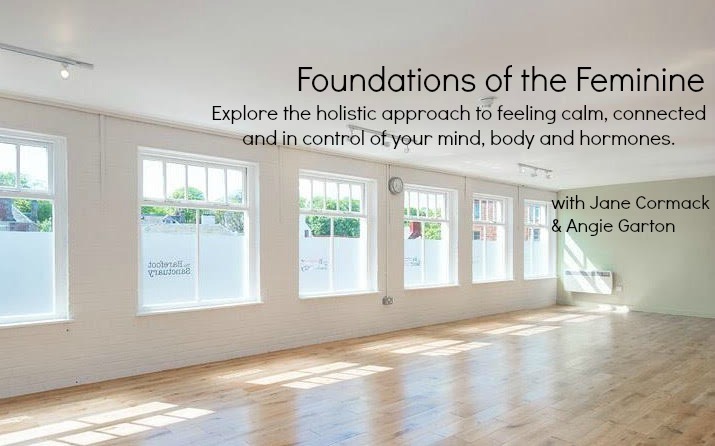 Foundations of the Feminine – Explore the Holistic Approach to feeling Calm, Connected and in Control of your Mind, Body and Hormones. This will be a rich and rewarding experience and you’ll go home with new tools to integrate into your life so you can dance with your delicate hormones, feel whole, grounded, happy, sensually alive and with a sense of inner peace and knowing of how to best support yourself. Angie and I would love to invite you to join us at the Barefoot Sanctuary in North Berwick, a short train ride from Edinburgh, on Sunday the 30th of April for a full days workshop. This is such a gorgeous venue where you can breathe in the ocean air and get away from the big city for a day. We have 10 places available for this workshop so, of course, early booking is recommended. Click this link to book > Yes! I want to build my Foundations of the Feminine. If there are any questions that emerge for you, or you want to learn more about why we are collaborating or more about Angie, then ask away! Comment in the event here > April 30th event. Do you have female friends, sisters, aunties, mothers or colleagues who want to know their body, heart and soul more deeply? Share the love by clicking one or more of the share buttons below.